MBend software is just amazing. It helps to program the bending easier and quicker, reducing the amount of time required in the process, and improving the productivity like never before. MBend tooling enables manual or automatic selection of tools, using your machine’s tools. You can save tool setups and use them for loading new parts. MBend includes complete tool manufacturer catalogs. 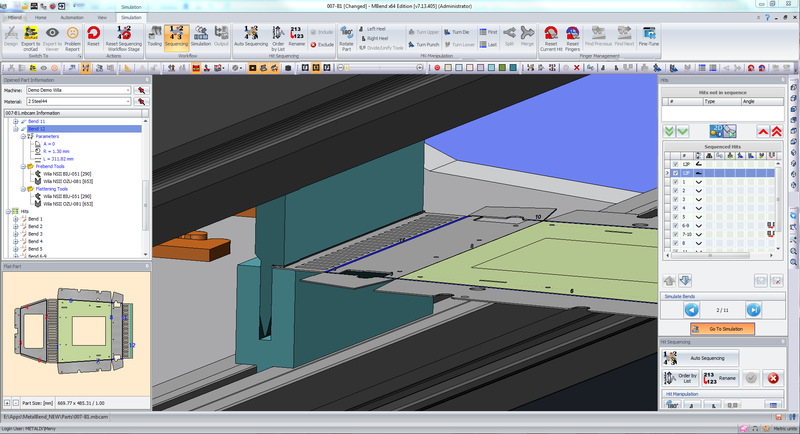 In addition, you can import tools and tool holders using DXF drawings or create tools parametrically. 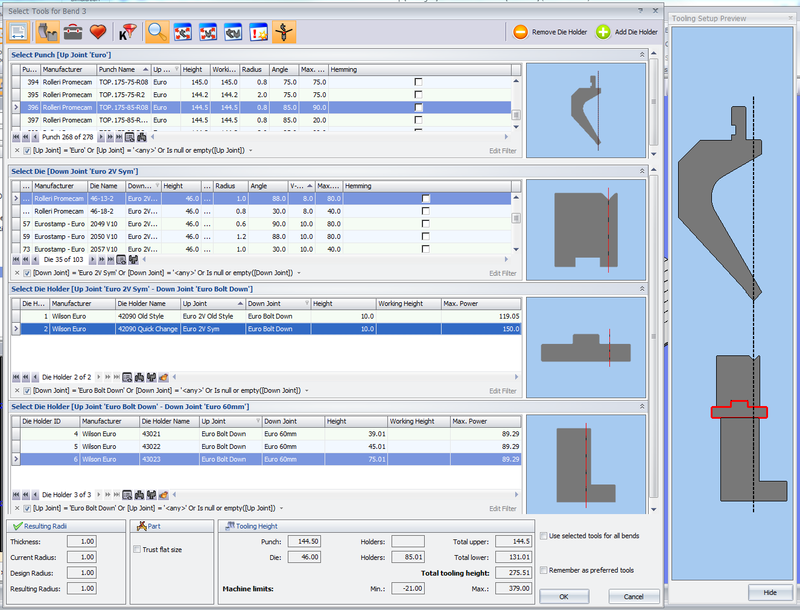 MBend can unfold parts according to tool-specific compensation tables, ensuring precise cutting dimensions for blanks. 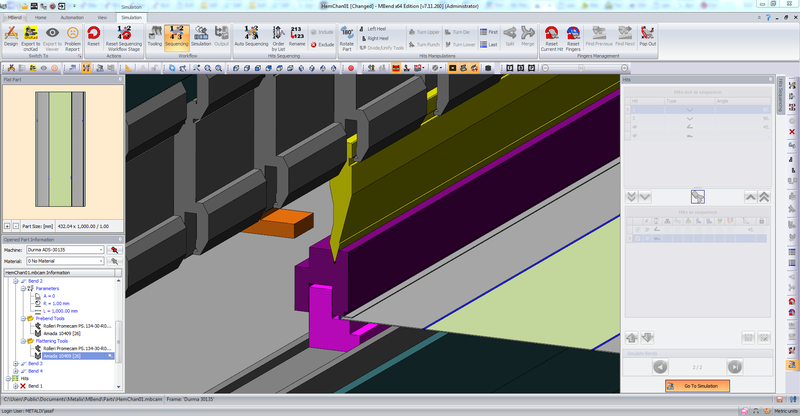 MBend lets you designate preferred tools for one-click selection according to material and machine. This allows streamlined tool selection according to your preferences. 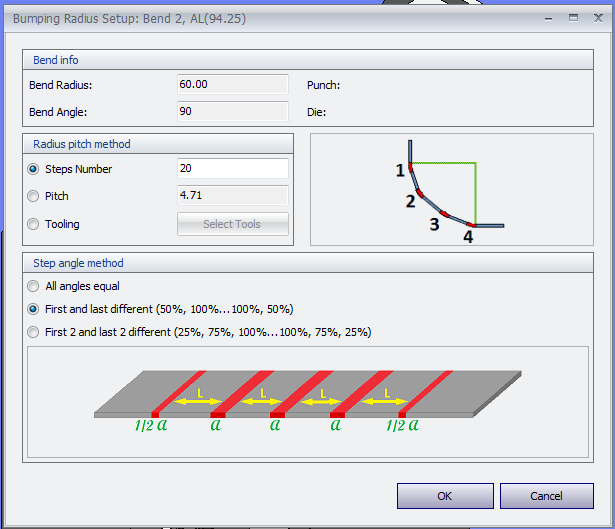 MBend can also look for a valid bend sequence for each tool combination, testing if it is useful for braking the part. Manually select punch, die, and holder combinations from your company’s inventory. During selection, the original design details are clearly displayed and MBend prevents you from choosing invalid tool combinations. Stacking tools in MBend is easy. MBend guides your choices so you can only select stackable components. Large radius bumping is made by a series of shallow angled hits, designed to create a smooth result. MBend performs dynamic recalculation of flat size according to tool selection. 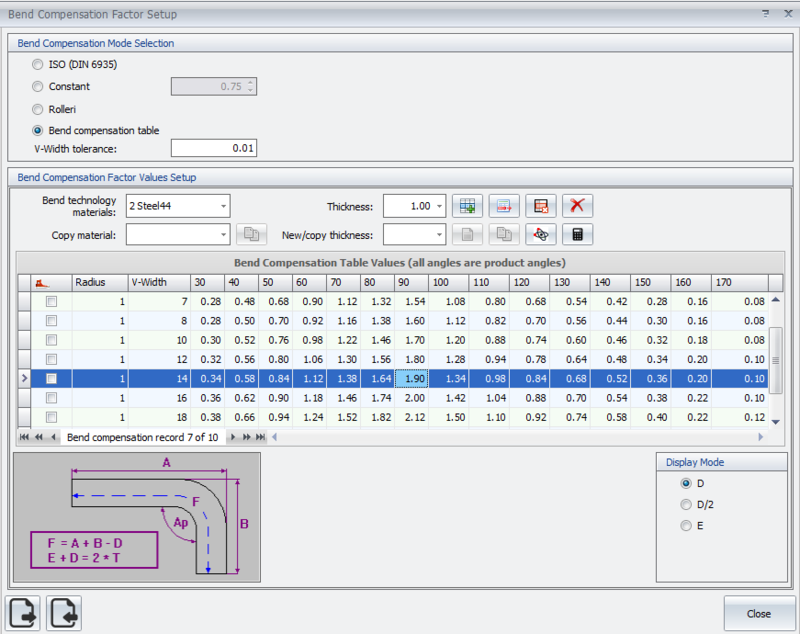 You can select one of several optional calculation methods: bend compensation table, ISO, constant K, or Rolleri formula. MBend can preserve the original flat pattern, regardless of the selected tools, while keeping the original folded product dimensions. The video shows the impact of tooling on the flat pattern. MBend includes complete, ready-to-use tool manufacturer catalogs. In addition, MBend supports easy creation and import of tools. Easily import tools and tool holders from your DXF drawings. 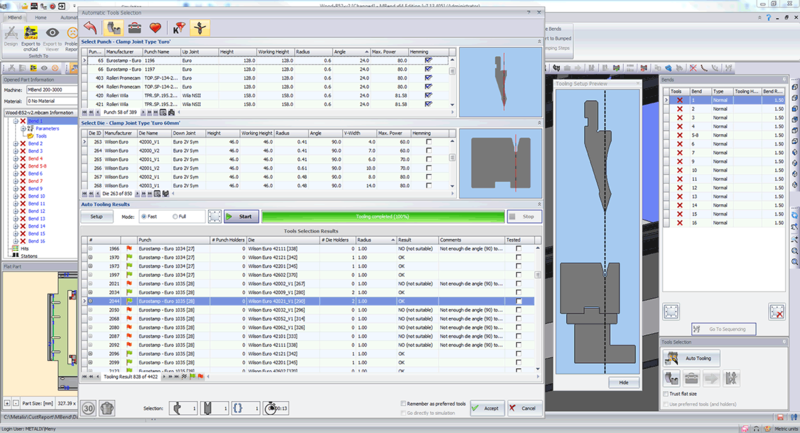 MBend automatically identifies all relevant dimensions (punch tip radius, height, v-width, etc.) and populates the database. Define default settings per manufacturer to apply to all newly created tools for this manufacturer (segments/tool sectioning, heel dimensions, and tang height). 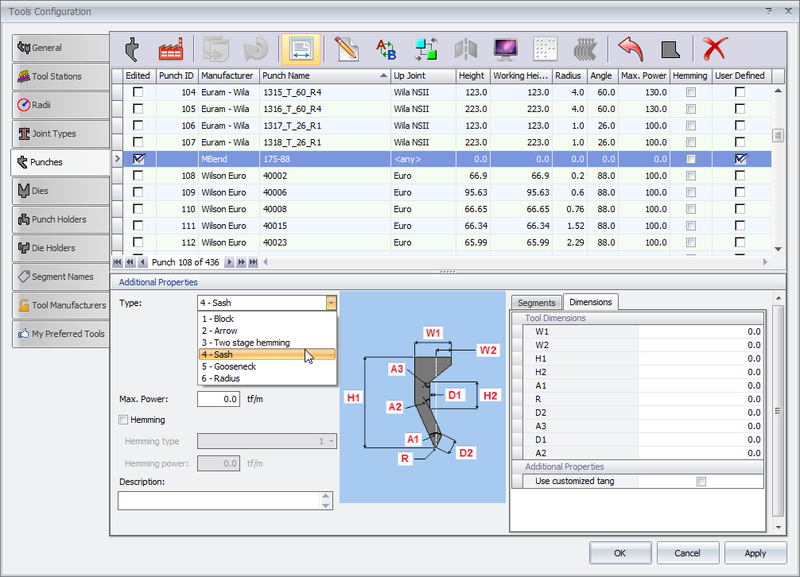 Create punch and die tools by defining their parameters. MBend supplies templates that resemble your new shape, allowing you to adjust the dimensions to create a complete fit. In addition to defining width, height, angle, and so on, define segments, heels, maximum power, tang height, and up and down joints.